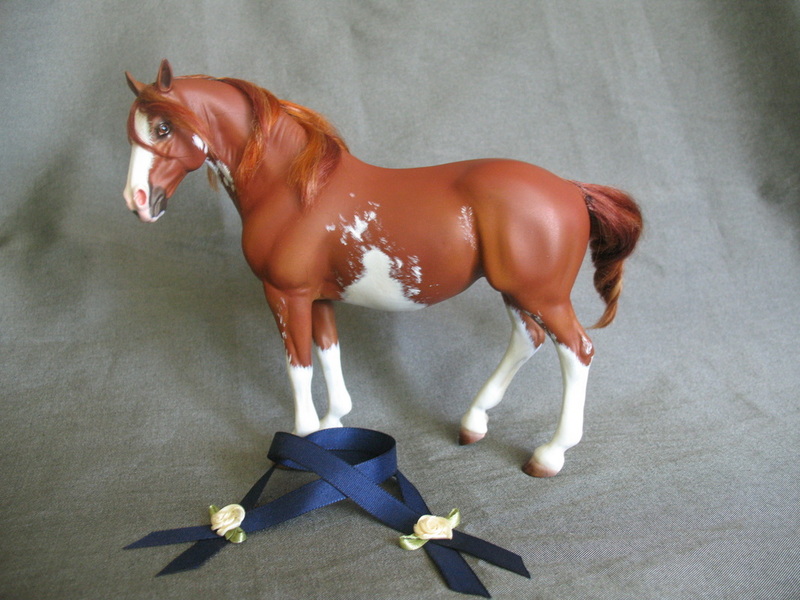 Cm Breyer classic MOW. 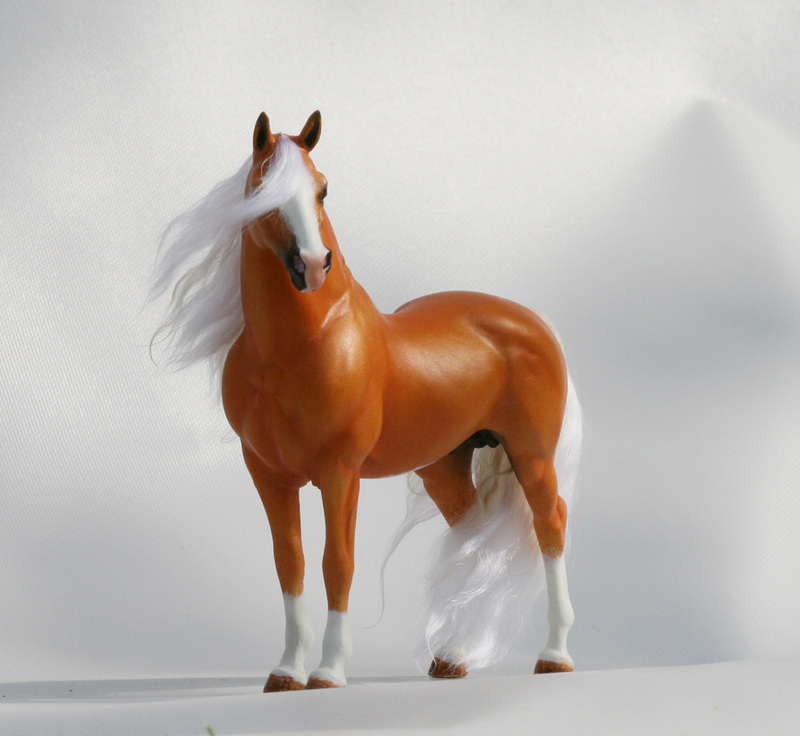 Airbrushed,pastelled, haired and handpainted to metallic palomino Morgan stallion with four socks, bellyspot and blaze. Black with sabino. 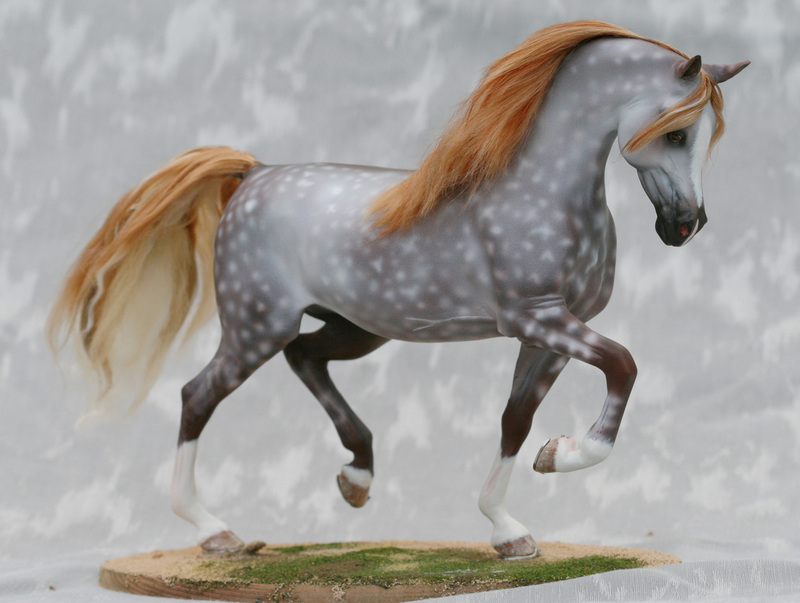 Haired, airbrushed and handpainted ColletA Frieasian horse. 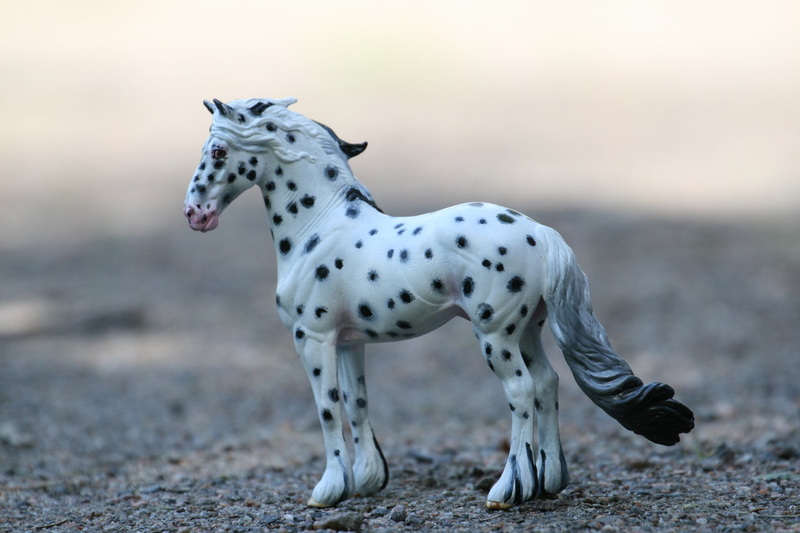 Liver chestnut flaxen sabino Danish WB( Hannover x Oldenburg) stallion. Four white socks, blaze and white hairs under the belly. Airbrushed, pastelled and hand painted on acryls. Black sabino. Pigmented and handpainted. 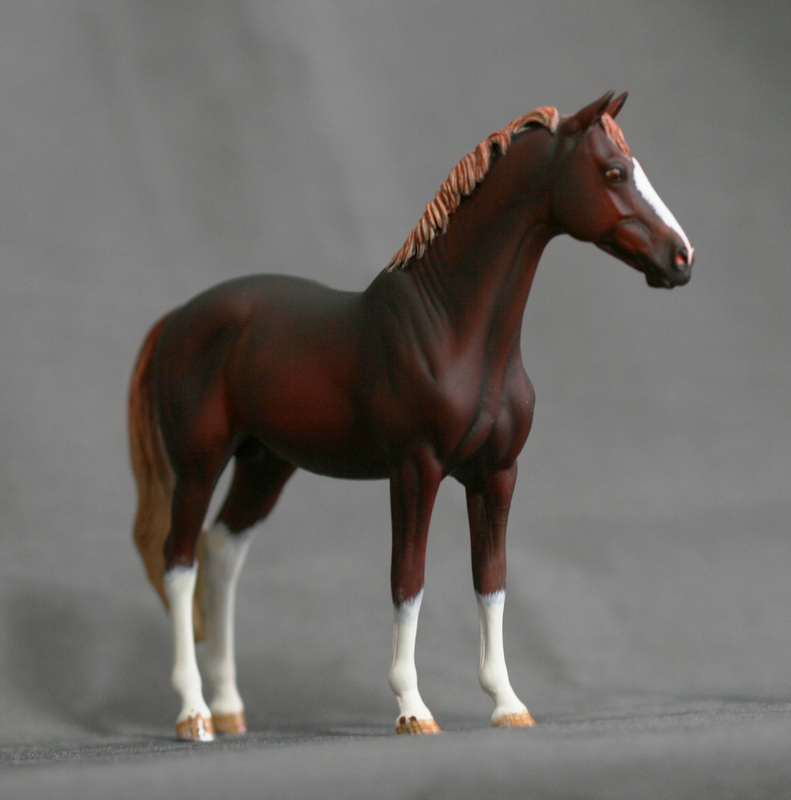 Breyer G2 ASB mare to bay roan stallion. Airbrushed and handpainted. Mohair haired. Cm Breyer traditional Weather Girl Partly Cloudy. 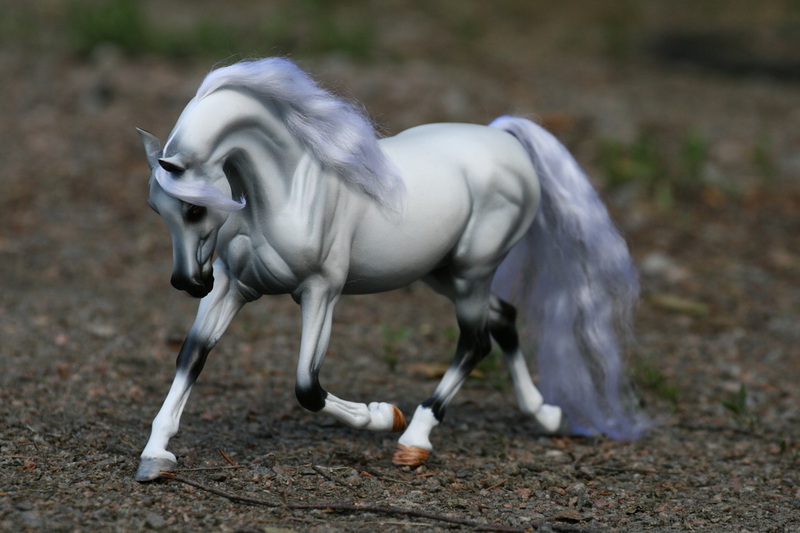 Airbrushed, haired and handpainted to chestnut going gray NSH mare. 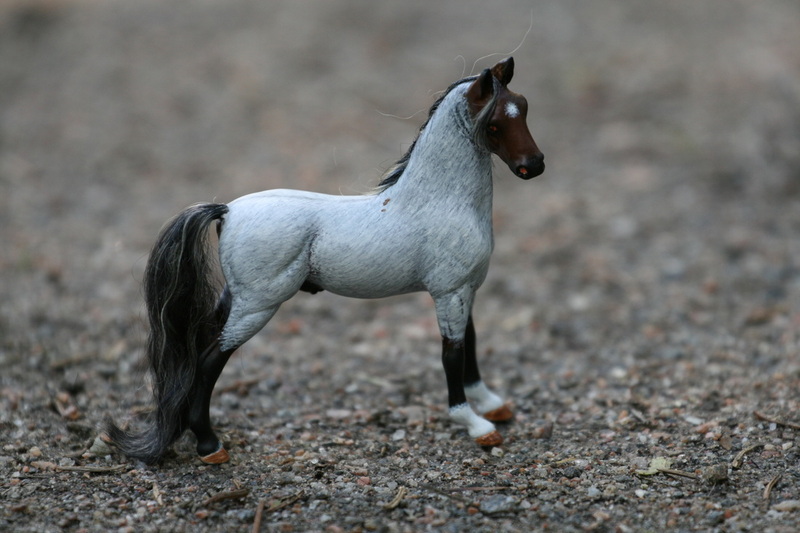 little cm, painted and haired to gray arabian mare with two socks and snip .